Hire a Renowned Motorcycle Accident Attorney Ontario, CA. A motorcycle accident always takes something from its victims. Steals their comfort for a period and sometimes causes unplanned expenses. However, if you are a victim, this can also bring you a lot – as per compensation for the tough times. Motorcycle accident attorneys are there to look into an accident case and ensure that the victim gets full payment. 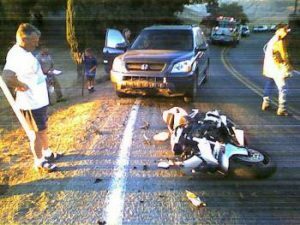 If you want to hire a renowned motorcycle accident attorney in Ontario, you should think about Rawa Law Group. It is a legal group/firm in California that has dedicated more than 20 years of its existence into the relentless fight for victims of accidents. We have carved a niche for ourselves and are regarded as one of the top legal service providers in California. Rawa Law Group prides itself on having some of the top accident and injury attorneys in the whole of the state of California. Our attorneys work closely with our clients to ensure the success of their case by offering flexible hours of appointments and personal one-on-one attention. We also make our lawyers available to make a home or hospital visitations while also keeping you updated on every one of our moves as per your case. Our experienced lawyers have helped clients recover full settlement in the past that amounted to several hundreds of millions and we are still in full swing. When you reach out to us at Rawa Law Group, be aware that you do not have to pay any upfront costs as we offer free case evaluation and also render proper legal advice without any hidden charges. We also do not ask for any form of payment until we gain victory in your case. Need to hire a renowned motorcycle accident attorney Ontario, CA? Come to Rawa Law Group at the address below.